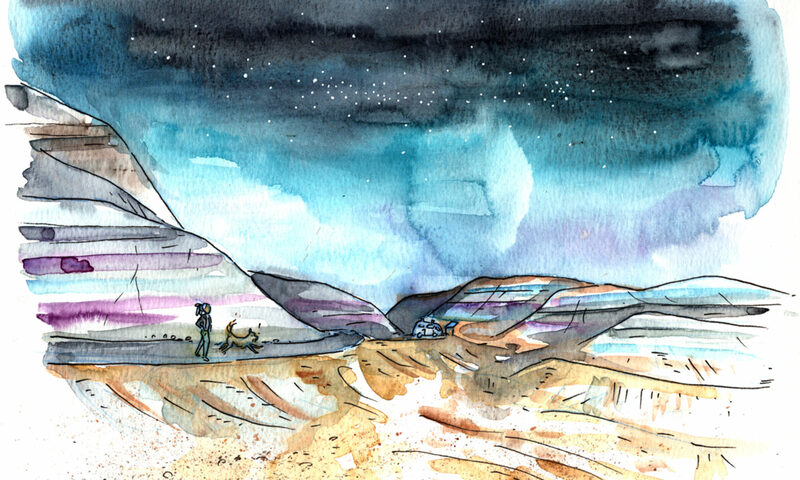 Tiny Adventure Journal is a comic travel journal, focusing largely on natural history museums, odd roadside attractions, and abandoned places in North America. It is funded, in large part, by Patreon subscribers. Shing Yin Khor is a cartoonist and sculptor from Los Angeles. She likes cheap travel, sleeping in rocks, weird museums, Paul Bunyan statues, abandoned places, national parks, most animals that are not ostriches, and odd roadside attractions. 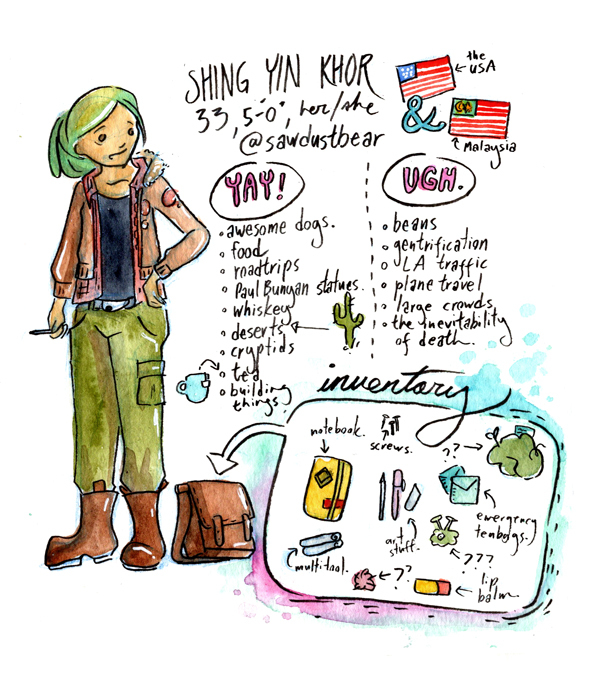 She’s an immigrant, by way of Malacca, Malaysia, and a bit obsessed with Route 66 and the successes and failures of the American Dream. 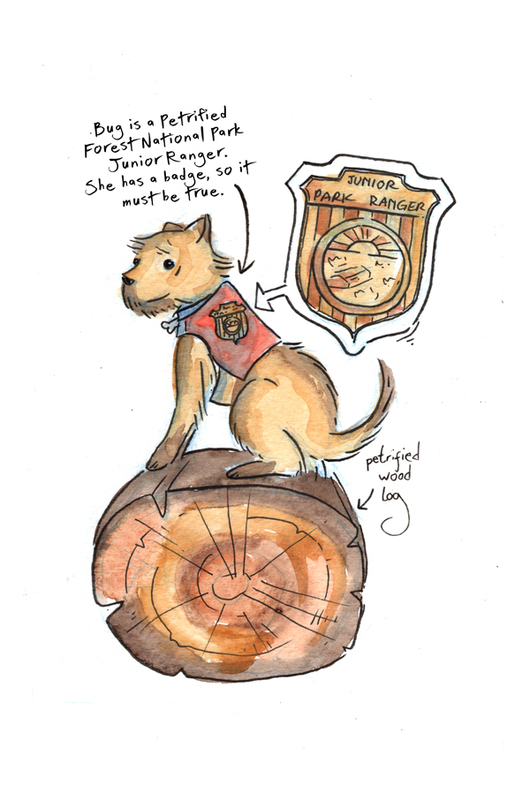 More of her work can be found at http://sawdustbear.com. Babe the Blue Van is a Ford Econoline 350. He is a delight, although a bit of a gas guzzler. Bug is the best tiny adventure dog. She is good and brave.